At this week’s Barrett-Jackson Car Auction, the presence of Gas Monkey Garage is sparse. A 56 Nomad done for Mountain Dew and Dale Earnhardt Jr. in a can’t miss green and silver color scheme is the most obvious car linked to the Gas Monkey Garage crew. For a spell the bar outside the auction stage was a Gas Monkey Garage theme, but that has dropped out. I suspect that Richard Rawlings might show up since he’s selling his 2016 Shelby Mustang GT350R with only a scant 200 miles clicked on the odometer. But who knows for sure? That Mustang is slated to sell on Friday. 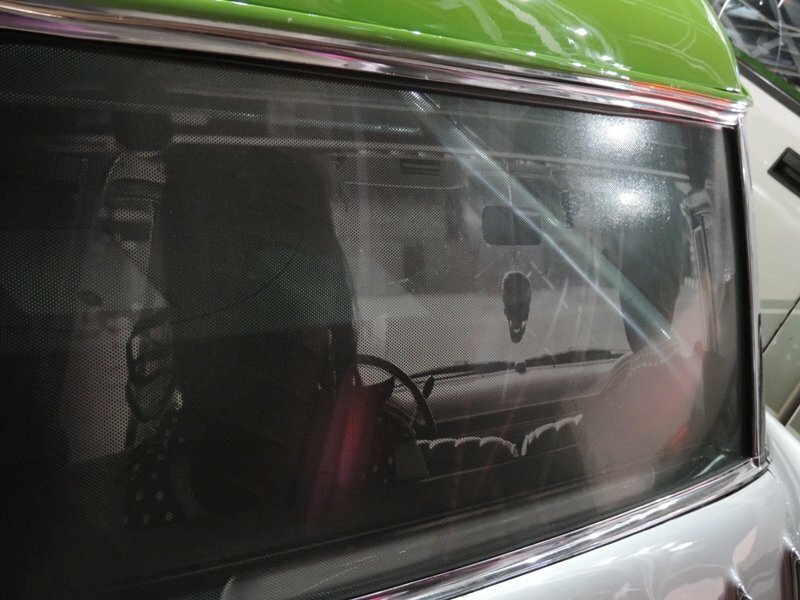 We’ve kept a close eye on Gas Monkey garage’s offerings even before the series became a monster hit. Remember this hot rod from the early years? As for the Nomad, who wouldn’t remember that bright green custom wagon? The current owner has a neat set of sunshades on the rear windows. The wagon has a 350 CI Chevy ZZ4 crate motor, TH350 automatic transmission, air conditioning and all the trick goodies. This video shows the wagon in action. 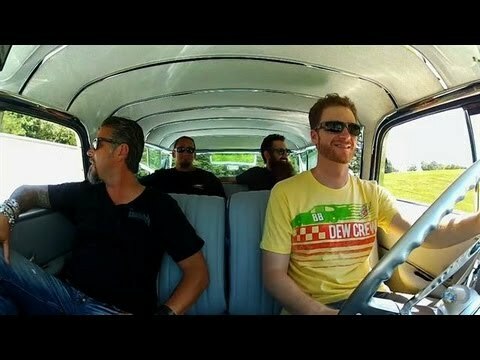 Gas Monkey Garage built the car in 2013 during their fourth season on Discovery and of course they had an impossible deadline to beat. 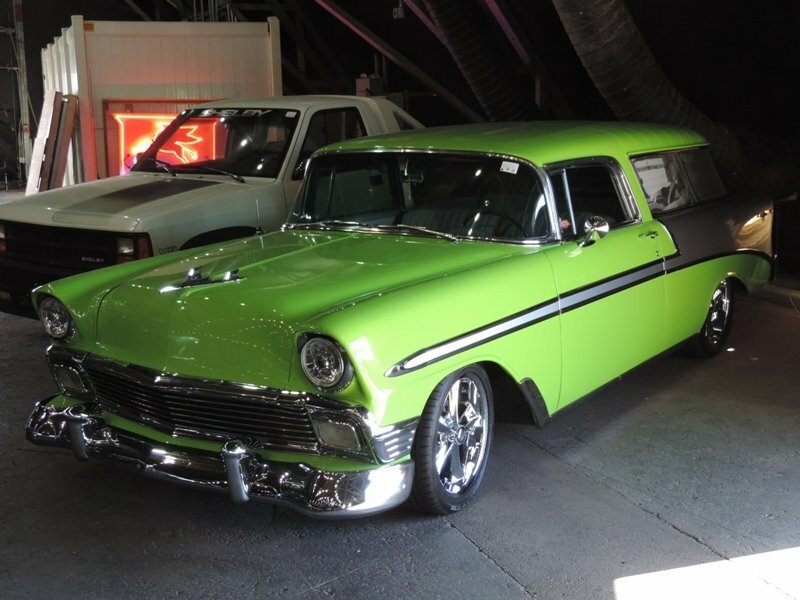 This car was used as a promotion for Mountain Dew, one of Earnhardt’s sponsors and hence the color on the 56 Nomad. 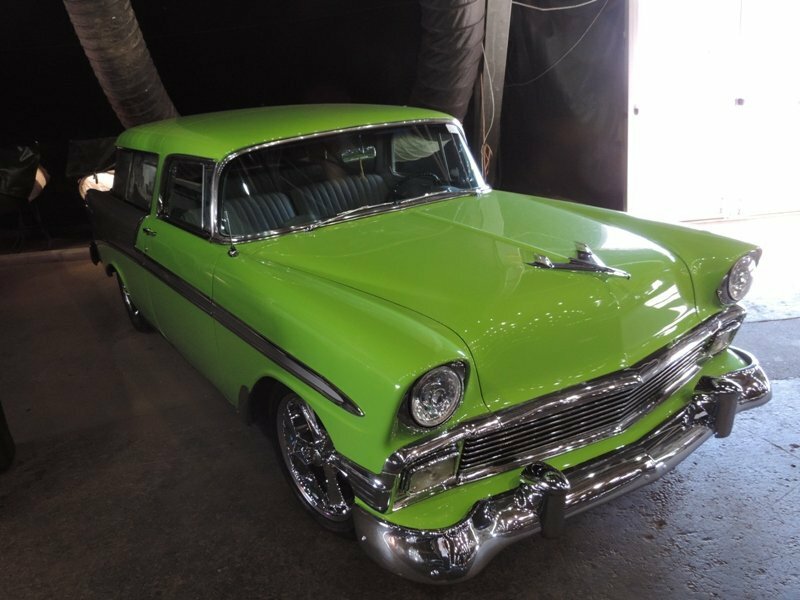 Of course fans of Richard Rawlings know that his favorite color is green. Both for cars and for money. The car had previously been offered for sale on eBay at $78,500 nearly four years ago. It also was offered on the internet at $69,500. So it will be interesting to see what the car fetches on prime time Saturday. Any guesses?